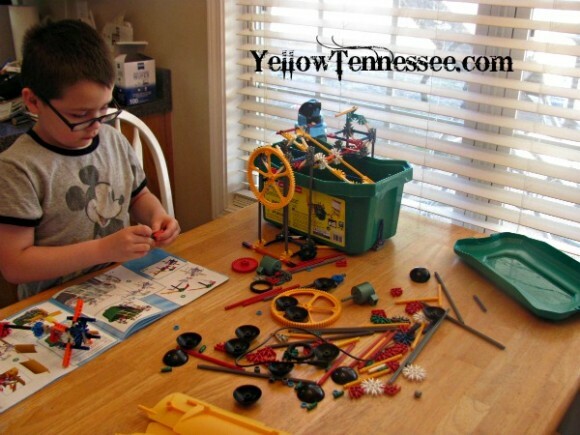 I have a son who loves building with K’Nex and as a homeschooling mom I love the educational benefit they offer. 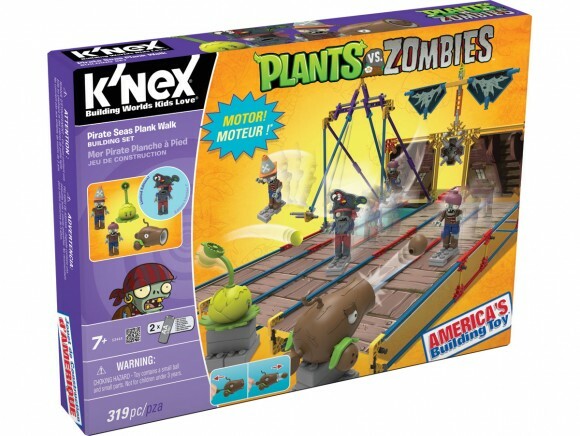 It was a simple choice to partner with K’Nex for this post. All opinions are my own. My 8 year old loves K’Nex. He will spend hours and hours playing with them. I love that they not only keep him occupied but that they also keep his mind challenged. Everything from cars, planes, huge towers, and even working windmills. K’Nex really forces him to use his imagination while thinking up things to build. But even following the directions, they are a great learning tool. Besides working on hand and eye coordination and helping to develop fine motor skills, K’Nex also helps to develop spatial awareness and creative thinking. I love when his toys are so much more than toys. The long term benefits of construction toys are all related to the above benefits. Many children are hand-on learners and enjoy refining the skills needed to perfect construction: measurement, adjusting tools and products to the specific needs, having confidence to attempt actual construction/repair projects (believing in self and abilities). This year we were sent a couple of K’Nex sets to try out. The little man has not seen them yet as I am saving them for Christmas. But judging from years past, I know that these will be a big deal. This year we got to check out the K’Nex 70 Model Building Set. I adore sets that are not one design only. Not only do you get tons of play trying to build the 70 different models that the set can make, it also has so many pieces that allow for some great imaginative play. We also got to check out the K’Nex Pirate Seas Plank Walk Set. We have had Plants Vs. Zombies on the iPad for a year now. At first it was one of those games that he played sometimes. In the last month it has become a huge favorite. All of a sudden it is one game he plays all the time and it trying to beat all the levels. I know that this set is going to be a HUGE hit this Christmas. Win It! 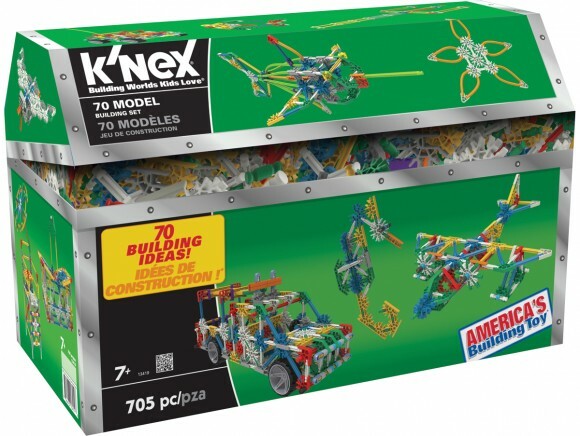 K’Nex has offered one of the 70 Model Building Sets for a giveaway. One lucky Yellow Tennessee reader will win this set! Use the simple Rafflecopter form to enter.